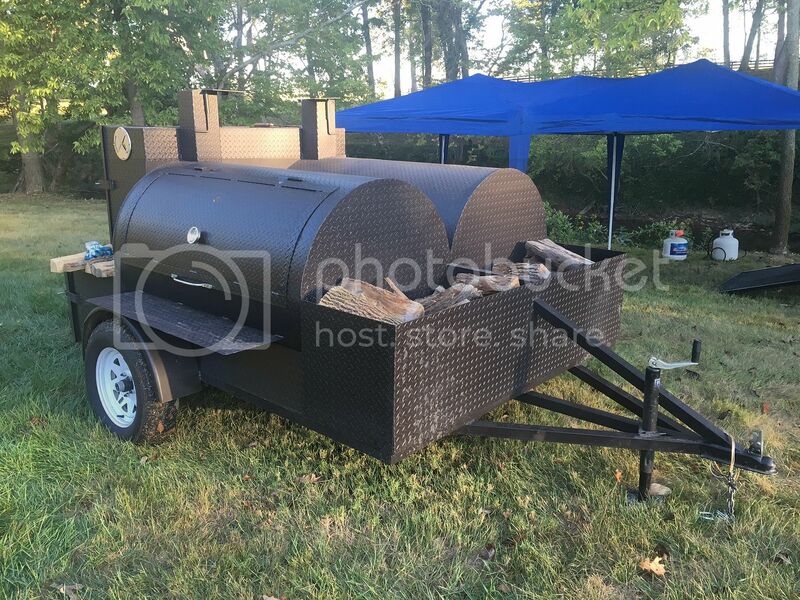 Did a gig Friday for 125. 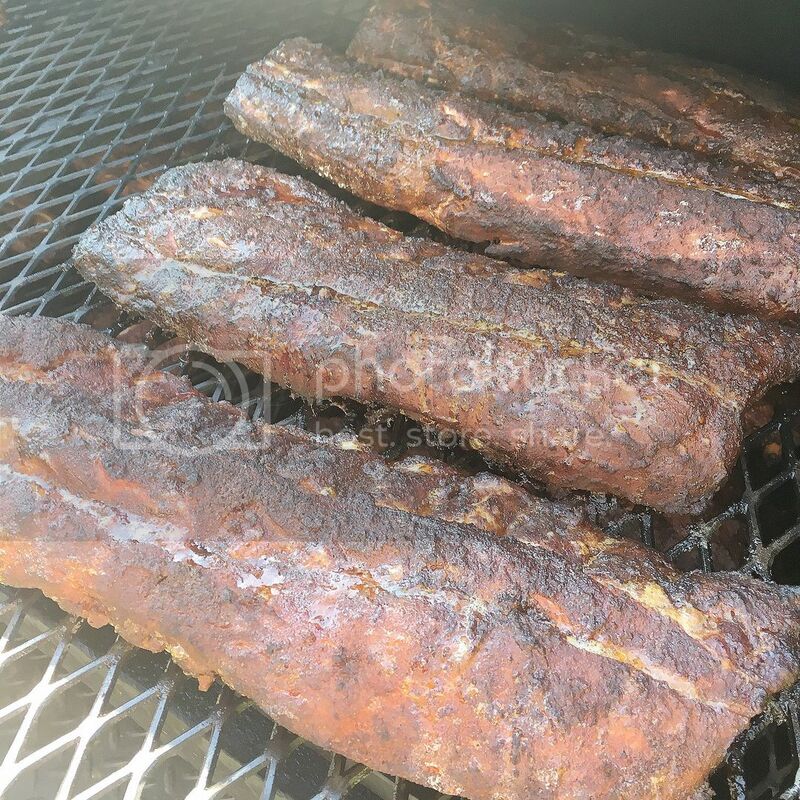 Ribs, Brisket, Sausage, Maque Choux and Slaw. Everything turned out really good. Special thanks to Jedi Master k.a.m for all the helpful advice!!! He da man! 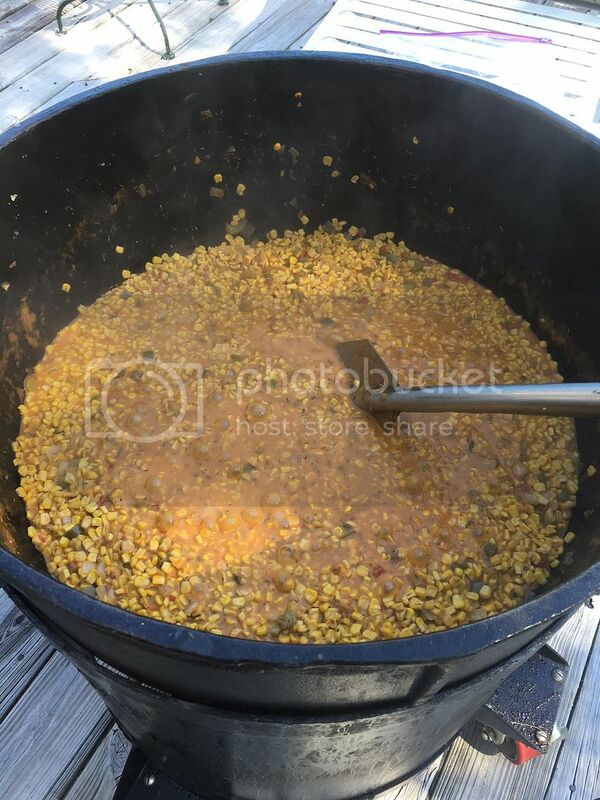 That is some great looking food. 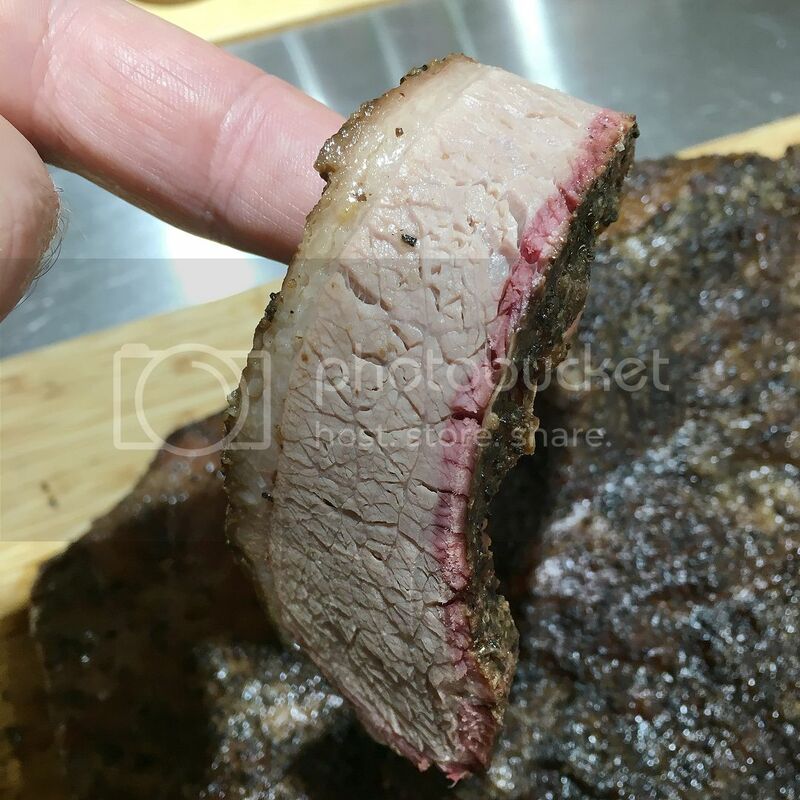 Nice color on the ribs and a nice smoke ring on the brisket. 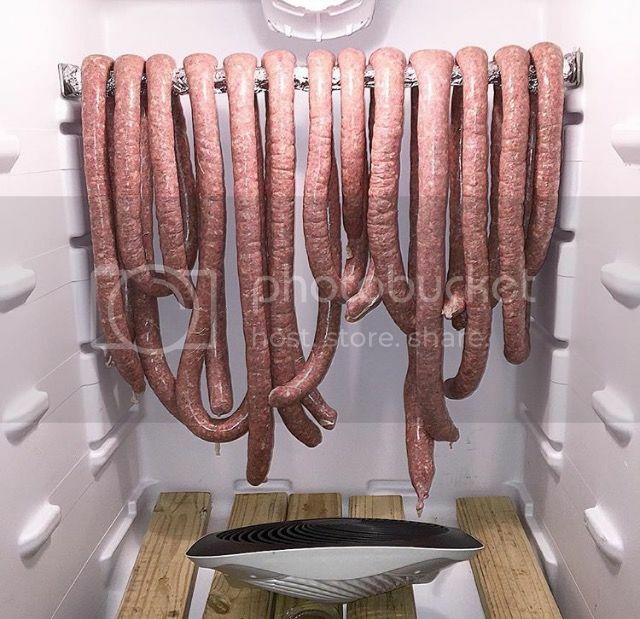 The sausage looks great as well. Very nice cook. 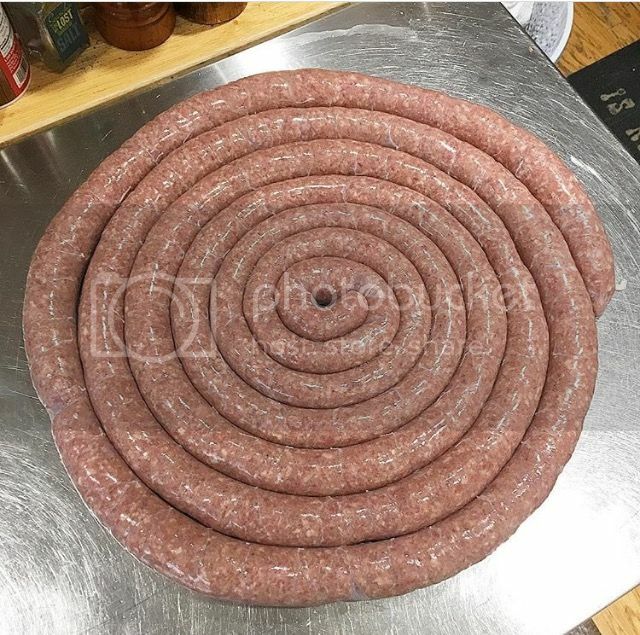 Wow great looking cook cayenneman...that first pic of the sausage coil looks great....homemade ...what kind....tell us more. 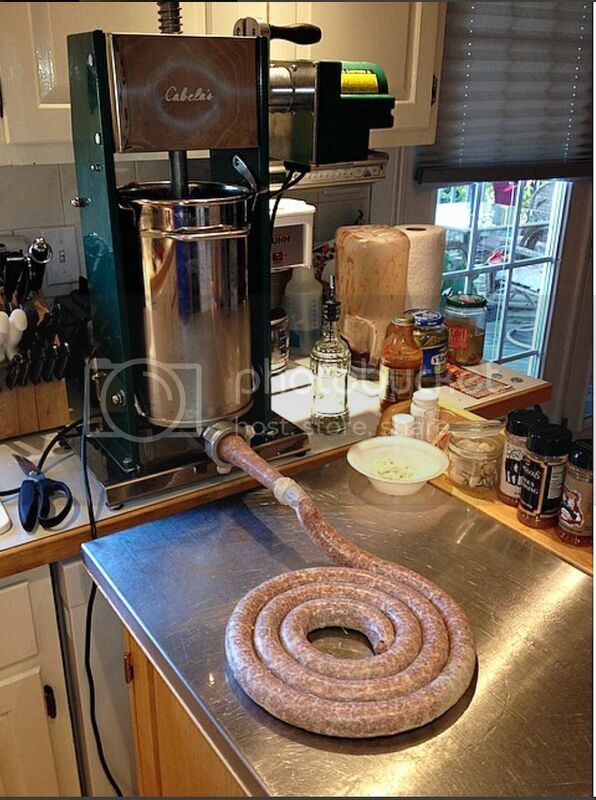 I make fresh sausage in smaller coils....push a skewer through them and throw the coil on the Q.
I get casings and a pre-made spice mix online from L.E.M. I have a 1.5hp Cabela's Carnivore Grinder (see vid link) and a 20lb Cabela's Motorized Stuffer. I grind, stuff, hang to dry and smoke. They turn out really good. That is some good looking food. I'm going to try that maque choux that sounds good. cayenneman that is beautiful imagery from start to finish. The sausage is a show stopper. 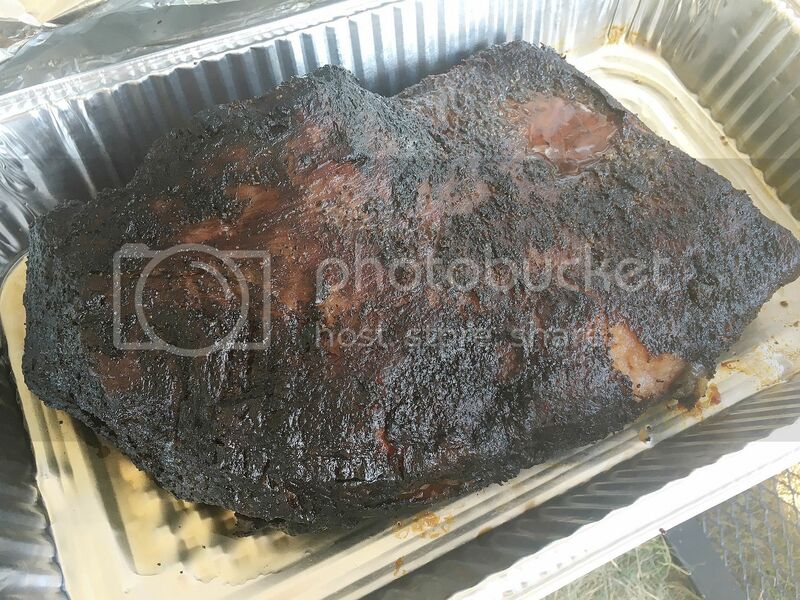 Color on those ribs is picture perfect and the brisket looks like a no doubt grand slam. 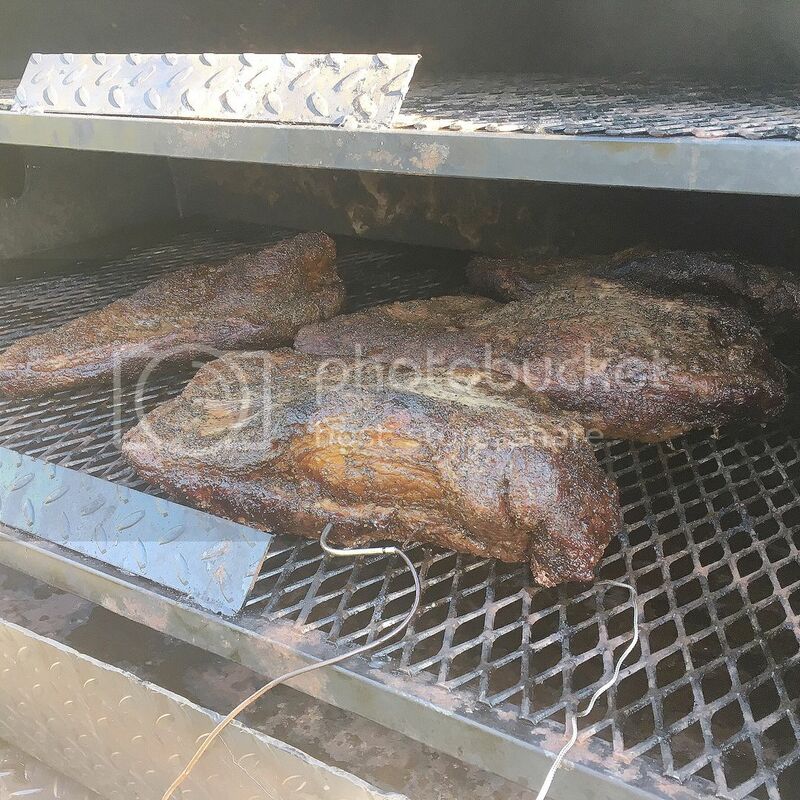 Excellent job feeding those folks!! Congratulations on a job well done cayenneman. Everything looks delicious I ma glad it all came together brother.